That brings the total number of missed diagnoses to 10. ANOTHER PATIENT HAS been notified of a missed diagnosis as part of the comprehensive review of radiology scans at University Hospital Kerry. This brings the total number of patients who have been informed of missed diagnoses to 10. Furthermore, the total number of patients who have been recalled for repeat scans to date is now 180. Some 46,000 patient files, including x-rays, scans and ultrasounds are being re-examined after it emerged a locum radiologist missed or misdiagnosed seven serious cases involving cancer and other diseases. As of today, South/South West Hospital Group has said that 82.8% of its review is complete with the number of images reviewed now at 38,289. This translates to 22,933 individual patients who’ve had their scans rechecked, or 86% of the total. Two of the 180 patients who’ve been recalled for another scan will require “further investigation” the hospital group said. 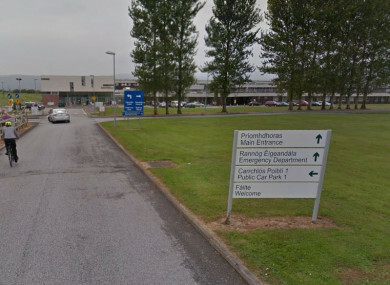 Email “Another missed diagnosis at Kerry hospital as 180 patients asked back for repeat scans”. Feedback on “Another missed diagnosis at Kerry hospital as 180 patients asked back for repeat scans”.